"After moving to this area with our daughter, we tried daycare and two other local preschools. A friend enthusiastically recommended BUMNS and our daughter thrived here. Now our son is here until kindergarten." "My child feels so special at BUMNS. Every teacher is warm and welcoming, and they make school such a wonderful home away from home." Berwyn United Methodist Nursery School was established in 1994. The school serves students who are 2 to 6 years old. BUMNS provides an early childhood learning experience in a nurturing environment. Our aim is for children to feel a sense of self-esteem, enthusiasm for learning and positive feelings towards classmates and teachers. Our school is a safe, positive place where learning is fun. BUMNS favors the "whole child approach". We address the physical, social, emotional and cognitive needs of young children through play and other learning experiences. The curriculum is thematically oriented with projects encompassing each special theme. Language — Introduction to colors, shapes, alphabet and literature. Art — Children use various art mediums to strengthen creativity. Game Room — All classes except the youngest visit the Game Room. Here the children further develop pre-reading and pre-math skills, problem solving and independent thinking in a "soft structured" learning environment. Music — Introduction to self-expression through music and instruments. 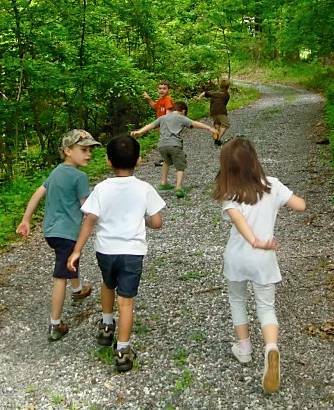 Kids In Motion — Enhancing large motor development through exercise and games. Lunch n' Play — Children may stay for lunch and social play until 1:00, 2:00, or 3:00pm. Teachers and aides staff the program. Parents are charged an hourly fee. Parties — Halloween, Thanksgiving, Holiday, Valentine's, and Spring. Field trips — To the pumpkin patch, apple orchard, fire station, and Great Valley Nature Center. Outreach Programs — Library and fire truck visits, dental awareness programs, and Yello Dyno safety awareness.